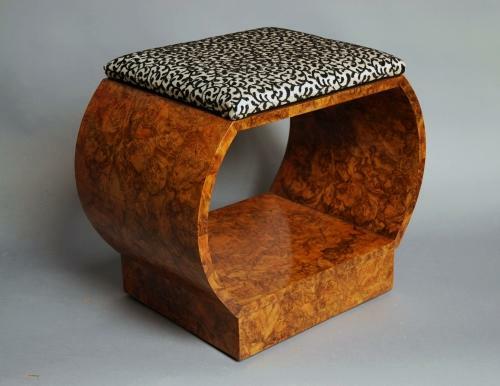 An Art Deco burr walnut shaped stool. This piece is in excellent and sound condition and can go straight into a property. The seat has been re-upholstered but could easily be changed to a fabric of your choice.